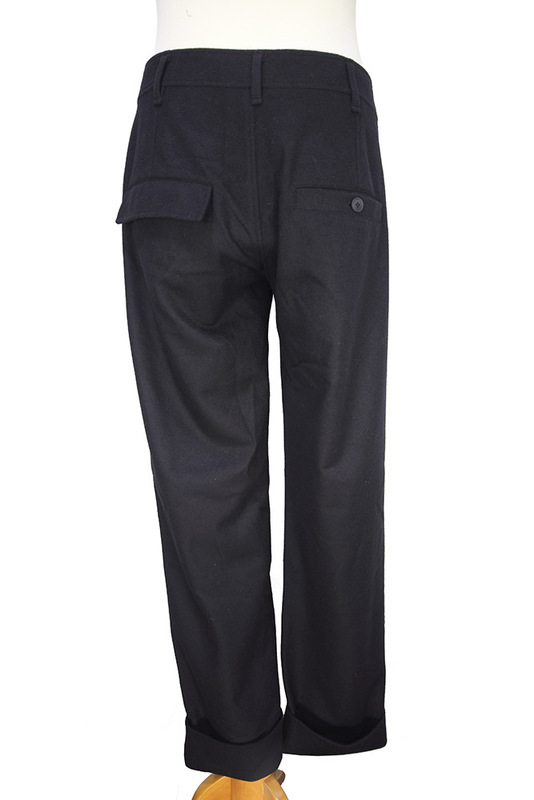 Pal Offner normal crotch trousers in black wool mix. Short buttoned fly with buttoned tab. Belt loops. 2 side pockets. 2 rear pockets one with flap the other with button fastening. Large turn-ups. 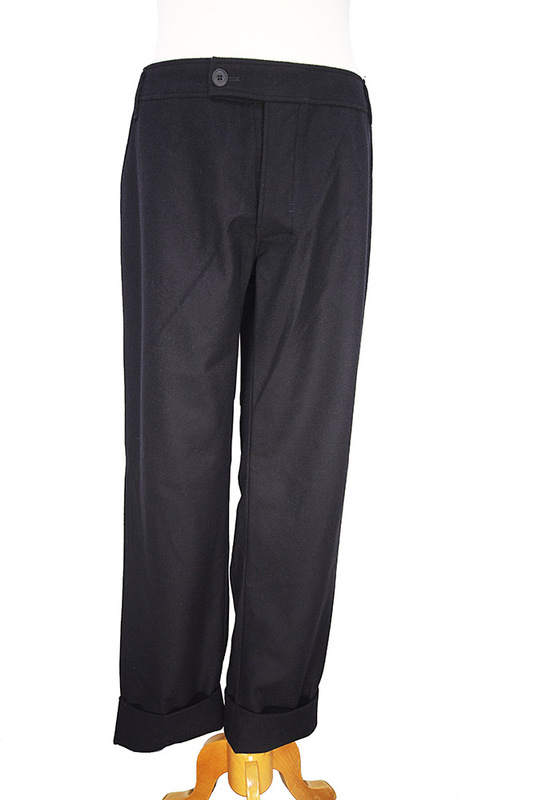 Great trousers in a beautiful fabric. 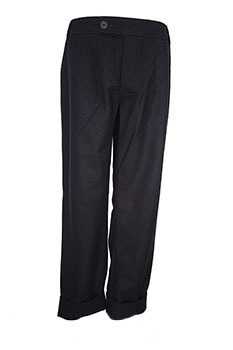 These are best pulled in with a belt. size 4 M = 38 inch waist, size 5 L = 40 inch waist, to be pulled in.